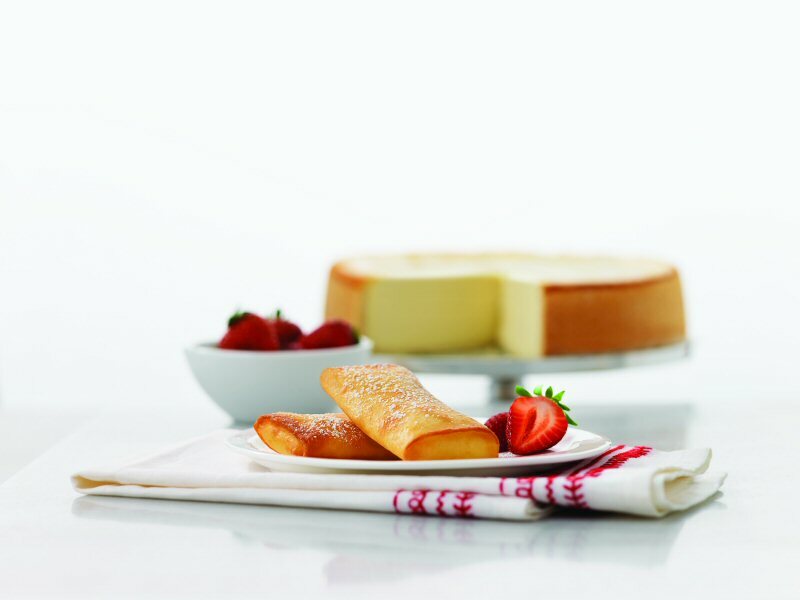 Just in time for the holiday season, Manchu WOK, the largest Chinese fast food franchise, is introducing deep-fried cheesecake to their menu and marking another first for the quick service industry. 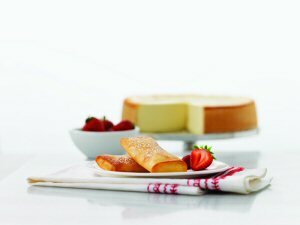 Made of a warm cheesecake filling wrapped inside a flaky crust, the product will make its fast food debut in North America starting this November. "There are a variety of Chinese food dishes that are wrapped in a light flaky shell, from spring rolls and egg rolls to uniquely battered vegetables and meats, so this seemed like a natural extension," said Ernest Lam, Vice President of Menu Strategy & Training. "Many people have never heard of deep-fried cheesecake and we love adding innovative menu items that push the boundaries of fast food." The recipe was created and is manufactured exclusively for Manchu WOK. The final decision to launch the product nationwide was based on results from a controlled focus group. The dish garnered positive feedback with many customers revealing that despite never tasting a product like this before, upon trial, an overwhelming 93 per cent would recommend it to family and friends. Anticipating an equally positive reception from consumers nationwide, the company launched the product on November 9 at all participating Manchu WOK locations. Free samples are available in-store for a limited time only. "We hope that while people are shopping for others during this holiday season, they will take a moment to treat themselves with this sweet grab-and-go style dessert," said Lam. Manchu WOK is North America's largest Chinese Food Franchise and a subsidiary of Hong Kong based Cafe de Coral. It has served over 300 million meals worldwide. The expanding and evolving menu includes Cantonese, Szechwan, Hunan and Mandarin cuisine. Brown & Cohen Communications & Public Affairs Inc.